Lately I’ve been fortunate enough to try out a relatively unheard of rum brand in the UK. 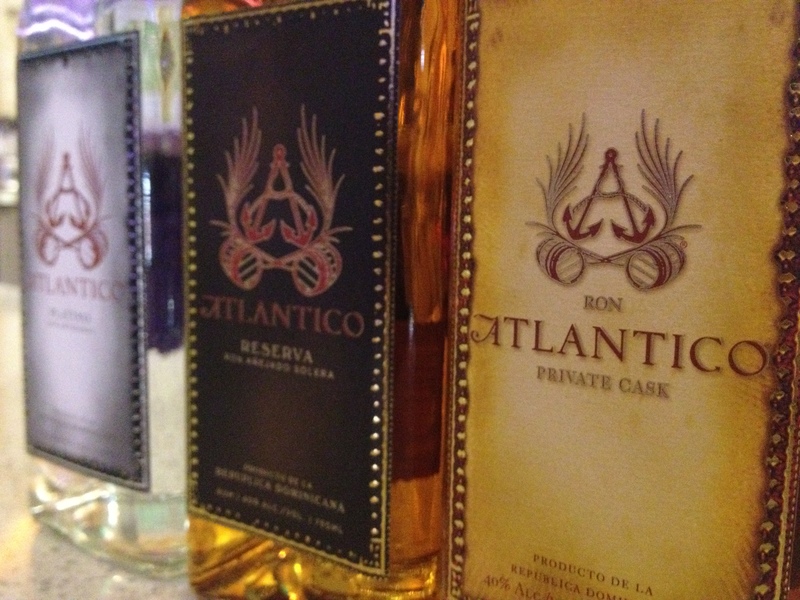 Hailing from the Dominican Republic and endorsed by such stars as Enrique Inglesias and backing its own charity, Atlantico is sure to create some waves in the rum world. But what makes Atlantico different from every other brand? 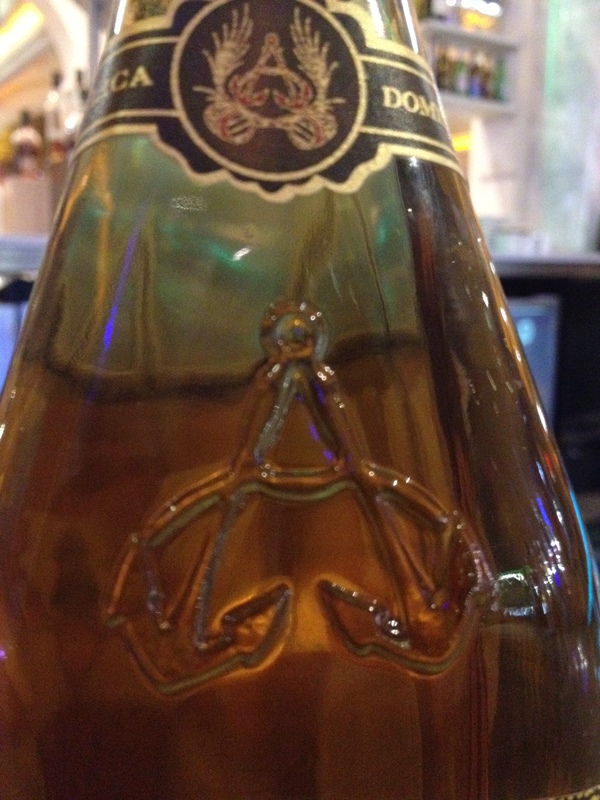 Atlantico is a blend of molasses based rums (heavier style) and fresh cane juiced rums (lighter style). The molasses gives the rum a lot more body and richness, whilst the cane juice gives lighter, more delicate tones. It’s aging process however is unique in the rum production world. The molasses and cane juice rums are aged separately for 2-3 years but are then blended together for a further 2 years. Once finished, it is placed into a solera aging system for up to 15 years. For a proper solera aging process, barrels of rum of different ages are stacked on top of each other, the oldest on the bottom, and the youngest on the top. When it is time to bottle, only a small percentage of the bottom (the oldest) barrels’ volume will be used. The empty space created by this drawing-off will be filled with rum from the level above, and those barrels will be filled with the level above them, and onwards and upwards, while the barrels on the top-level will be topped up with new rum. Before bottling, a small amount of Aguardiente (commonly known as fire water, it is rum distilled at a lower abv so it retains more of the characteristics) is added to the blend to give it a unique tasting profile. Once bottled, the founders personally inspect, hand number and initial each bottle before shipping. Not bad, especially as the whole process from start to finish is done by hand. So after a Dominican journey, how does it all fair? Well below I give to you my tasting notes. Clean and light on the nose, with a slight sweetness roaming around. Very smooth on the palate with light vanilla flavours coming through, and hints of citrus near the end. Bold vanilla aromas on the nose with a light sweetness mixing well onto the palate. Very light with lots of vanilla and oak dancing to a long finish. Light notes of vanilla and wood hit the nose and palate and transforms into an incredibly smooth offering. Bold, ripe, sweet vanilla flavours evolve near the end of this very long tot. 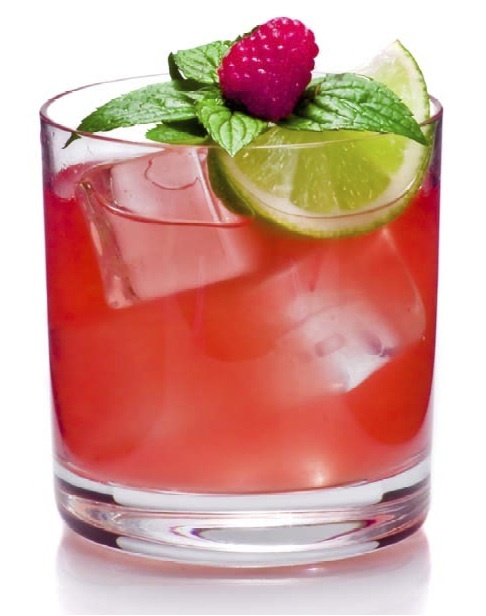 In a cup muddle raspberries & mint leaves. Add Atlantico Rum & lime with simple syrup. Shake and serve over ice. At the moment, Atlantico is only available online or in Selfridges, but expect to see it a lot more on the back bars of your favourite bars. Atlantico is coming, enjoy it when it does! Check out the rest of the photos, taken at The Circle 360, via my Facebook page. Now this is a rum I’m curious to try. Specifically the Private Cask. Heard and read really good things. Social networking specialists can help to manage all of your accounts. selling a service, there are many other avenues of making money with the video resource. The target market is either a market you are involved in the moment, or a market you want to be involved in.